As an American contributor in a worthy project devoted to European perspectives on Islamist political violence, I take it to be my responsibility to point out, as necessary, where, when, how, and above all why American attitudes to the general problem set both dovetail with and differ from those of Europe. Having perspective can be a good, and a useful, thing. Because the subject is so capacious, similarities and differences between American and European approaches (and yes, I realize that not all European countries are the same in this, or any other regard) can be discussed in many ways with regard to many aspects of the topic. But to start, it seems to me wisest to lay down general similarities and differences, by which I mean orientations embedded in political/strategic culture. That necessarily turns us toward interpretations rather than empirical analysis. The latter can come in future efforts. Although it is notorious that definitions establish nothing in themselves, they do, if they are carefully enough constructed, provide a useful orientation, or reorientation of thought, such that an extended unpacking of them can be an effective way of developing and controlling a novel line of inquiry. This is true, and the novelty thickens when a comparison is involved. We have a perfectly serviceable set of definitions both for Islamist political violence and for terrorism. These definitions are held more or less in common throughout the West, certainly among those whose is business it is to think about this subject, and a little less certainly among those officials whose business it is to implement policy with regard to these subjects. The first thing to notice is that the definitions of political violence and of terrorism are distinct. Obviously, the sectarian tinge of the Saudi-Iranian cold war presently aflame in the region and the bloodletting we see today in Syria and that we have seen elsewhere in the region in recent years exemplify political violence, but not necessarily terrorism, although terrorist tactics sometimes nestle within that violence, as was certainly the case in the self-styled Islamic State caliphate whilst it existed. Political violence is a perennial; it is part of the repertoire of political expression in virtually all times and in all places. It is not always the greater of evils, either. To put the adjective Islamic or Islamist in front of it creates an assumption that too often goes unexamined – more so, I think, in America than in Europe. How so? If one of these adjectives – and we will come to the difference between them anon – is put before the noun phrase “political violence”, the assumption is that the violence is motivated somehow by religion. But not all political violence (and terrorism) originating in the Middle East has been or is today motivated by religion. It is no simple matter to distinguish the religious sources of political violence (and terrorism) from a range of other plausible sources: ideology (similar in some ways to religion but not the same); ethno-nationalism; perceived threats to corporate social identity; mass social-psychological dislocation; or, typically, some hard-to-unscramble mash-up of these and other motivational ingredients. Just because perpetrators themselves or victims, let alone bystanders far from the scene, assert that religion is the source of an act of violence does not make it so. It can as readily be a pretext, an afterthought, or a post hoc excuse separate from an actual motivational cause. We cannot even be sure that the perpetrator understands his or her own motives in this domain of human behavior, as is often the case in other domains. Deciding the matter turns as well on how we define religion, and here we come to the terms Islamic and Islamist. Throughout the West, among thinkers probably more than among policy types, the distinction comes with a difference that traces back to the fundamentalist project of Martin Marty at the University of Chicago (1987-95). If the adjective “Islamist” goes before the noun phrase “political violence”, we are meant to understand a highly politicized form of religion, often a placeholder for groups defined by identity politics more than by conventional faith communities. If something that is Islamist is still definable as religion at all, we are meant to understand that it is a distorted or hijacked form of Islam, and hence a minoritarian form that opposes conventional Islamic thinking as much as it does the thinking of the Western targets it sometimes chooses. Some scholars refer to the thinking of Islamist (also often called Salafi) groups as “ideological” in contradistinction to theological in order to distinguish further what is Islamist from what is Islamic. These distinctions – between political violence and terrorism, and between conventional religion and politicized bastardizations of religion – are all very nice, and they are useful at least for those who keep them in mind. The problem is that they are rarely kept in mind in the American political class, or by the American media, which are composed of much more diversely recruited groups of people than tends to be the case in most European countries. So here we come to the first general or generic difference between the American and the European orientation to the subject. Most European political classes are made up of professional politicians. Nowhere is this more rigidly the case in Western Europe than in Germany, France, and Italy; but it is true to some extent throughout the continent. This may not always be such a good thing, but at least it tends to ensure that the educational level of politicians is reasonably high compared to whatever the national mean may be. In the United States, on the other hand, legislative politics are open to a much wider group, and the typical educational levels from which they come tend to be closer to the American mean, and lower than is the case in Europe. When one adds to this the fact that Americans, for obvious historical and geographical reasons, tend to be both more insular and more monolingual than most Europeans, it follows that distinctions such as those between political violence and terrorism, and between Islamic and Islamist, often go wanting. Most Americans, even the roughly one quarter who have graduated from four-year colleges and universities, cannot or at any rate do not even distinguish between the English adjectives “Arab” and “Muslim.” They do not recognize the difference between an ethno-linguistic designation and a sectarian one. If that is so, then it is obviously way too much to ask them to distinguish between “Islamic” and “Islamist.” Obviously, similar manifestations of ignorance exist in Europe. But again, the difference is that, at least in my experience, political and even some policymaking elites in America manifest this ignorance far more often than their counterparts in Europe. There is another factor at play here, hard to be precise about but important all the same. Americans are more religious than Europeans, certainly than West Europeans. Not only is that true in the ordinary sense of the term, but it is true in the sense that secularized religious ways of thinking – cognitive syntax, we may call it – are more pronounced in America than in Europe. (More of that below.) As the rule of the evoked set from cognitive psychology tells us, people tend to see what they are looking for, and people whose cognitive syntax tends toward a religious worldview will see a similar worldview manifest in others more readily than those who do not. So whereas most educated Europeans look at Middle Eastern-based political violence and terrorism as amateur political sociologists, comparably educated Americans tend to look at it as amateur Protestant ministers. 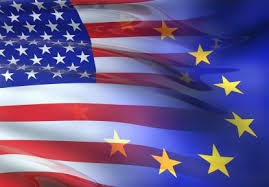 The differences in the educational and attitudinal characteristics of American and European political classes leads some Europeans to conclude that Americans are simply stupid or primitive, an impression sometimes magnified by the unwarranted assumption that made-in-the-USA mass entertainment fare accurately mirrors the American “mind.” It is not the case that Americans in general are stupider than their counterparts in Europe. But what is the case, as already noted, is that our respective political systems recruit into elite status different cohorts of people. In that sense, for better or for worse, American representatives in politics tend to resemble the general population more closely than is the case in Europe; the United States is thus intrinsically more populist as a democracy than is Europe, most of the time. Hence it tends to be more porous to popular as opposed to refined public opinion. It is also probably worth noting the higher percentage of American legislators who are trained as lawyers than is the case in most European countries: Whatever one thinks of lawyers, it is indisputably the case that anything like deep familiarity with the relevant social sciences is not part of the typical educational experience of most of them. In short, while Americans may not be especially stupid, American elites do seem to be notably more ignorant than their European counterparts of the world outside U.S. borders, and the less Western that world is the greater the ignorance quotient. Stupidity and ignorance are not the same things obviously, but they can have similar consequences. The main consequence is that ignorance tends to conflate, and knowledge tends to distinguish. For a variety of reasons, some noted below, Americans have unusual trouble making necessary distinctions when it comes to the subject at hand. Plenty of Europeans have the same trouble, but not as much of it – so, anyway, are my impressions from many years of interacting with my European counterparts. The same difference holds true for the definition of terrorism, only more so I suspect because of the sharp emotional character of the symbol. Whether it’s the Department of State or the United Nations, the “official” definition is clear and consistent and has been for many years: Terrorism is the use of deadly violence against random innocent civilians, for purposes ranging from the propaganda of the deed, to use Sorelian language, to duping authorities into responding to acts of terror in ways that unmask and undermine their own principles. It is true that this definition derives from the early 1970s, when terrorism was seen as instrumental in nature and was associated with nationalist organizations – first and foremost Palestinian organizations that attacked Israeli and other Western targets, later Tamil terrorists in Sri Lanka and others. The advent of both suicide/homicide terrorism and mass-casualty apocalyptic “Islamic” or Islamist” terrorism, such as that associated with organizations like al-Qaeda, may throw some aspects of this definition into question; but in the end not very many. The point is that acts of terrorism, to be terrorism according to the accepted definition, must be aimed randomly at innocent civilians. My sense is that European authorities, media, and attentive publics understand this definition and know how to apply it, not least because many European countries have repeatedly experienced terrorist outrages that fit the definition. In the United States, however, this definition is often ignored. For example, the typical American thinks that the attack on the Marine compound near Beirut in October 1983 was an act of terrorism. The typical American, and here I include members of Congress and journalists who ought to know better, also thinks that the attack on the USS Cole in Aden harbor in 2000 was an act of terrorism. It should be obvious that attacks on uniformed American military personnel on the territory, or in the territorial waters, of a foreign country in no way fits the definition of terrorism. It’s more like guerrilla or irregular warfare. But alas, it is not obvious, judging from any measure of observation. If one points this out in public to a lay American audience, one invariably stands accused of defending very nasty people. The actual point of doing so is no such thing, of course; it is simply to warn that if they play fast and loose with the definition of terrorism, they make it all too easy for truly nasty people to make the spurious claim that “one man’s terrorist is another man’s freedom fighter”, which is of course the kind of moral equivalence relativism we can all do without. I do not think this problem exists nearly to the same extent in Europe. But why? Why do Americans supposedly in positions of responsibility and authority do this conflating to a far greater degree than Europeans? A few reasons have already been noted: Americans are more insular and monolingual, hence more ignorant and innocent about the world outside their borders, than are most Europeans. (It is not true, however, that only a minority of Congressmen and Senators have passports; that is an urban legend: About 93 percent have passports and most make at least one foreign trip annually.) It is also true that historical experiences differ, both remote experiences and more recent ones. As to terrorism, for example, Europeans have not experienced a 9/11-type shock. Americans equated that shock with previous shocks – like Pearl Harbor – which pierced the “perfect” security Americans have tended to think is the normal condition of geopolitical life, and raised the specter that the “new” terrorism could constitute an existential threat to the United States. Europeans have instead suffered multiple smaller terrorist attacks that, as noted, better fit the standard definition and more or less standard past experiences; and European history has not incubated expectations of “perfect” security – very much to the contrary. There is also an important difference between the Muslim communities inside the United States and those inside European countries. American Muslims are, as a rule, much more diverse, and much better integrated socially into American society than is the case in Europe. Or put differently and more accurately, there is no specifically Muslim underclass in the United States that traces to a specific few countries of origin. That is obviously not the case with Turks in Germany, Algerians and Moroccans in France, and so on to lesser extents elsewhere in Europe. The result is that political realities and optics are very different in the United States than in Europe, particularly when émigré communities in Europe derive from legacies of colonialism. Muslim populations in America are not very salient politically; and xenophobic fear of Muslims within the United States is limited to a tiny fringe of the population despite events like the Fort Hood shootings, the San Bernardino shootings, and the Boston Marathon tragedy. Americans care far more, perhaps irrationally so, about hostile, murderous Muslims outside the United States. In Europe, given recent experiences, most average people fear Muslims within their own societies, even though they are mindful that domestic populations may be radicalized from without as well as from within. America’s discontent with immigrants – a clear third rail in American politics – has nothing to do with Muslims; in Europe that discontent has everything to do with Muslims. These differences matter, to be sure. But that is not all there is to it – not even close. So bear with me for a moment, please, while we return to the issue of divergent strategic culture within the West. Every nation’s political culture is nested in one civilizational zone or another, and every civilization zone features characteristic ways of interpreting the world, both within their own societies and without. One way that these characteristics show up concerns how facts are grouped. Virtually all civilizational zones, and certainly all that have achieved some form of deep literacy, have some concept of a fact as a piece of objective, material reality that exists regardless of how anyone feels about it. But the categories do not overlap completely from zone to zone; in other words, the interpretation of the world is not without its seams, and different cultures slice and dice reality differently, making for seams appearing in different places. Historically, interpretations (or constructions, if one likes phenomenological language) of reality have been bound up with religious culture. There is virtually no contemporary political culture, in any country, that does not derive at least indirectly from a religious tradition, however seemingly secularized that inheritance is now believed to be. A good rule of thumb is that, between this obligatory inheritance and the manifest immersion in abstract symbols that is characteristic of our species, there is no such thing as an ideational void in any political culture. All political cultures evince certain beliefs that are not subject to empirical validation, whether they are associated explicitly with a godhead or not. In social science these beliefs are often called myths, the word meaning not stories that are obviously false, but rather templates that organize our collective emotional life and speak to matters of ultimate concern beyond the ambit of science to answer. So it matters what that inheritance is, and it matters specifically what kind of logical syntax and disposition to non-concrete subject matters it manifests. Now, one would think that within a given civilizational zone, there would not be all that many differences from country to country. One would think, perhaps, that all countries we call Western would be similar in that respect. And one would be wrong, just as one would be wrong to assume that within the “Muslim world”, as it is casually called much of the time, or even just within the “Middle East” – a Western-defined concept – there are no significant differences from country to country. Within the West – defined by its tripartite sharing of classical civilization, Christianity, and the experience of the Age of Reason – there are significant differences just as there are some similarities. As far as differences go, England (later Great Britain) is an outlier; and so, by extension, is the United States, only more so owing to the conditions attending the birth of American civilization. Let us briefly note only two of those conditions. First, America was founded in large part by devoutly religious dissidents. One can exaggerate this: the indentured servants and Scots-Irish economic migrants who came mainly to the mid-Atlantic region and the South were by no means the same as the Puritans who settled New England. But the overwhelmingly Protestant religious culture of early America matters, and the fact that the Calvinist/Dutch Reform dispensation played such a large role in the early formation of America’s explicitly political culture, is critical in having established an ideational path dependency that endures to this day. Second, the Protestant Reformation was entangled utterly in the 16th century with what we called the Enlightenment, also known as the Age of Reason. The Enlightenment – whether in its English, Scottish, French, or German variations – gave birth to what we again all too casually call modernity. Modernity is best defined by three main characteristics: the ascent of individual over communal agency; the concept of the secular applied not only to politics but also to the arts; and the idea of a worldly teleology of progress. Modernity was, if anything, a quintessentially optimistic gloss on the world, and “modern” people mainly assumed that they were now living in an age that was new and hopeful, and that represented a sharp break from all that had gone before. They may have exaggerated, but that is what most of the elites of the time believed, and it really made all the difference, for, as Erving Goffman once put it, “social life takes up and freezes into itself the conceptions we have of it.” Nowhere was this process as pure and unfettered by the clutter of the past as it was in America. That is why the founders put on the money the Latin phrase: “Novus ordem seclorum.” And they meant it. Put simply, the American ideational core was from the beginning a hybrid between a reformed religious tradition and the vanguard of modernity. The unique achievement of Anglo-Protestant civilization was to synthesize what was a very religious worldview with what was taken to be a secular attitude. Exactly how this seemingly improbably synthesis happened, though fascinating and pregnant with implications, need not detain us now. But one result was a kind of translation process of inherited religious traditions and ways of thinking into what came to be the full flowering of supposedly secular modernity. In short, Americans have always believed that they collectively possess the one true faith, minor internal differences aside, a faith that started out as a recognizable religious doctrine, but which has morphed over time into an unselfaware ideology. In both cases the truth is revealed: In the original version it came from God ratified by the Luther and/or Calvin’s Christ; in the secular version of American civil religion most Americans believe, if they think about it at all (which few ever have or do), that it pretty much fell out of the sky one day on lucky us in the 16th and 17th centuries. This is what Richard Hofstader meant when he wryly wrote years ago that, “it has been America’s fate not to have ideologies but to be one.” Those sure they possess the truth don’t have a mere ideology; rather, an ideology has them. America is singular in this regard, but not entirely unique. Englishmen sense their own form of exceptionalism. It is impossible to capture the inner élan of the Habsburg Empire without its fervent Roman Catholicism, or that of the Romanov Empire without the weight of the Orthodox Church. But America is different because it was founded at the very apex of a supposedly trans-religious modernity that really wasn’t so “trans” at all. And its history has for the most part matched the optimistic, forward-looking bias of that founding; even the greatest tragedy within that history, the Civil War, was interpreted through the thinly veiled civil religion as an ordeal necessary to banish the original sin of the founding and cause the Republic to be “reborn” as a morally redeemed force in world history. What does this mean when it comes to how Americans see the Muslim world and the Middle East? The core predicates of American political life, which shape both its domestic and foreign policy views, are anti-hierarchical, anti-traditionalist, and anti-communalist compared to its Western (Catholic and late medieval) forbears. It is, conversely, highly individualistic and egalitarian. As part of the Western world’s first mass deep-literacy-dependent religious expression – Protestantism – it is also resolutely scripturalist, hence contract-oriented, in both politics and commerce. And perhaps above all it is universalist, an inheritance of Christianity as adapted by the Enlightenment: reason is universal, sayeth the Enlightenment; and reason is the secular path to the godhead substituting for the old path of religious doctrinal belief. Americans thus believe that there is only one imaginable best-practice truth when it comes to modes of governance, and since people are basically the same everywhere, it is resolutely assumed, that truth applies to every people no matter their history or culture. I refer to this as American Enlightenment Lite, and it is the lingua franca of just about every American politician who was ever born. The point here is that America has been and remains different even within Christendom, even within the West. It really is, as G.K. Chesterton said, “a nation with the soul of a church.” Can anyone imagine the Left Behind series becoming major bestsellers in Western Europe? Can any European nation match America for evangelical energy when it comes to spreading (presumed) international best-practice governance? Is any European foreign ministry saddled by a legislature to issue “human rights,” “trafficking-in-persons,” and “religious freedom” reports each and every year, all of them essentially state-of-evangelism documents? And above all, can any European nation match America for its passive-aggressive romance with apocalyptical end-of-the-world framings of national security-related issues – nuclear Armageddon, nuclear winter, popular versions of global warming, and more? Indeed, the distended American fear of apocalyptically minded Islam probably derives not from its being so alien to American ways of thinking, but rather from its being so close. If we are the Children of the Sons of Light, someone has to be the Children of the Sons of Darkness. The Soviets were good at it, but the al-Qaeda/ISIS specter is much better. The Soviets were mere atheists in gray suits; al-Qaeda/ISIS is – yes, you guessed it – the robed anti-Christ. ISIS even has a black flag! How does this make for a difference between specific American and European orientations to Islamic/Islamist political violence and terrorism? There are many differences, and I will be relating several over time. But for now, let’s just consider one: the Rationalist Fallacy. Americans are very fond of declaiming about the need for a “war of ideas” to defeat terrorism. This parallels, of course, the memory of the Cold War, which Americans thought was a contest of ideology as well as geopolitics. Every time there is a new terrorist atrocity in the United States or abroad, the appeal to fight a “war of ideas” recur as though it has been thought of for the first time. In the American civil religion, deep differences are always believed to have as their source the absence of right thinking in the enemy. If only we can get them to see the light, to receive the “good news” about democracy, market economics and the basic tenets of liberalism, then our disagreements would disappear. In short, they need to be converted, and true to Enlightenment Lite orthodoxy, the way to convert them is by rational argument. Yes, sometimes they need to be militarily destroyed first, just to get them to listen. But note: the Iraq War was justified in due course as the opening act of the “forward strategy for freedom,” which was premised on the conviction that the way to vanquish terrorism was to democratize all the Muslim countries of the Middle East, most especially the Arab ones. And that is why, years after the “forward strategy” itself was abandoned, there is still in the State Department a “counter-messaging” center. Some of the people there really believe that if only they could find the perfect words, put them together in the perfect sentences, assemble them into the perfect paragraphs, and then have them translated perfectly into Arabic, Farsi, Pashtu, and other relevant languages, all we would need to do is, with the help of our moderate Muslim friends and allies, get those perfect words before would-be terrorists, and they will throw up their hands, see the error of their ways, and thank us profusely for saving them. This is the Rationalist Fallacy in all its tattered glory. The more sagacious of American scholars on the subject of Middle Eastern political violence and terrorism know better. Like serious social scientists anywhere, they emphasize the fact that all ideas are socially embedded. Ideas do not float around loosely in the sky. It is my view that between the Western worldview and terror-prone Islamism there is little intellectual or ideological conflict of significance that can be remedied by a “war of ideas.” There is a conflict at an ideational level, of course, and it is one between two universalisms: Western Enlightenment liberalism and Islamist supremacism. But this ideational conflict is not the only source of our problem or even the main one. Yes, it matters that there are people like Yusuf al-Qaradawi spinning novel and dangerous interpretations of the Islamic tradition and trying to spread them all over the place. But there is a larger sociological problem in the region having mainly to do with the stresses of modernization on traditional and, in many cases, still largely tribally structured societies, and this agonizing civilizational churn happens to spatter blood beyond as well as within its borders. Regrettably, we in the West cannot master this problem, only manage it until those who truly own it work their way to some new and improved social equipoise. It is facile to suppose otherwise. Moreover, I doubt there is very much Islamist ideology as such that can be distinguished from more or less mainstream theology, at least if one credits that ibn Tamiyya’s approach, morphed over time into Wahabbism, is still “inside the tent” of Islam, if barely. So trying to fight Islamist “ideology” with a war of ideas pretty quickly risks opposing orthodox Islamic thought, which is not our enemy as far as terrorism is concerned, and which we do not or should not want to do because it would deprive us of the local allies we need to manage the problem. Alas, what Western observers often identity as ideological within Salafi thinking is mostly theological; but then we would do that, wouldn’t we, since most Western observers do not take theology as a social force very seriously anymore? And thanks to a good deal of natural blurring between the understanding of ideology and theology among Muslims – because they do not take the category of the secular very seriously – rationalist arguments on an ideological plain made directly by non-Muslims to Muslims will get us absolutely nowhere. We have, in short, a “cool-hand Luke” problem: a genuine failure of communication, because we cannot figure out how to settle on a common vocabulary. This is, I think, the dominant view in Europe, epitomized in the work of, say, Scott Atran (the “devoted actor”) in France and still-the-underdog Marc Sageman (“leaderless jihad”), also European-born, in the United States. So while the wiser American scholars have trouble persuading other Americans that ideas alone are not the problem, many European scholars on this subject have trouble persuading many educated Europeans that radical ideas matter at all. This would almost be funny if it weren’t so serious a potential source of misunderstanding between Americans and Europeans, at the scholarly level perhaps not so much, but very much at the political and high-policymaking levels. Of course ideas and the way they are socially embedded both matter. The ideational and the social-emotional aspects of the problem are merged. If people like al-Qaradawi had no foot-soldiers they could recruit in ample numbers, they would be reduced to a small extremist cult of little or no political significance. If addled young Muslim males were free of entrepreneurs trying to turn them into instruments of political extremism, they would probably still be unhappy, sometimes suicidal, and torn between worlds, but they would not be nearly the security threat they pose in Europe and elsewhere. Obviously, then, the kind of strategies one adopts to deter terrorism depends on which side of the merger one is focused on. You don’t employ forensic psychologists to figure out how to reason with al-Qaradawi et al., and you don’t employ counter-messaging rationalists to figure out how to influence soul-scarred, under- or mis-educated and unemployed 22-year old Muslim males in, say, Marseilles. You would think, perhaps, that such very simple points would be easy to agree upon across the Atlantic. Well, think anything you like. Our problem is not only with Muslims of extremist inclinations; it is also with each other across the Atlantic. Geertz, The Interpretation of Cultures (Basic Books, 1973), p.
 See Francis Fukuyama, The Origins of Political Order (Farrar, Giroux & Straus, 2011), pp. 72-78. This is a complex and somewhat controversial claim, and while I summarize it below, I lack the space here to explain it in full. That explanation is available, however, as “Can Americans Count to Three?” The American Interest Online, March 9, 2018, which is an advanced version of “The Anglo-Protestant Basis of U.S. Foreign Policy: Examples and Evidence,” Orbis (Winter 2017-18). Kurth, “The Protestant Deformation,” Orbis (Spring 1998), updated and refined as “George W. Bush and the Protestant Deformation,” The American Interest (Winter 2005). This paragraph is derived from Garfinkle, “Can Americans Count to Three?” The American Interest Online, March 9, 2018. I have in mind Marc Sageman first and foremost, but there are others, none of whom most members of the American political class have ever read or even heard of. For more detail, see my “Testing the ‘War of Ideas’ Part I: The Facile,” The American Interest Online, January 11, 2016.